Danny Boyle is a 17 year old singer / songwriter from Cheshire, England. The reason for wanting to do music is the fact of doing it a lot throughout my life and my family has a strong music background. So it came naturally to follow a career in music.. It's also crucial to do something you enjoy and music is such a thrill and I have such great connection with music, that i wouldn't want to do anything else. He first began a career in music aged 3 where he used to take part in various singing competitions, he then went on to learn how to play the guitar aged 10, learning his favourite songs from Youtube. 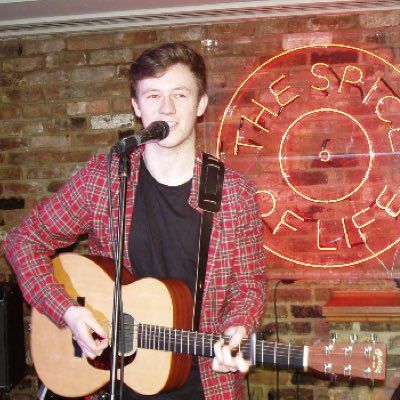 Danny then began doing various open mic nights in cities such as Chester, Liverpool, Cardiff, Birmingham and London, which he says was vital to his development. By this point he was beginning to write his own music, which he went onto release his first single onto iTunes, which can be found if you search "New Start - Danny Boyle". He is continuing to work very hard and is showing real dedication to reach his goals to get signed to a major record label, there is much more to come from Danny so be sure to keep posted on his movement!